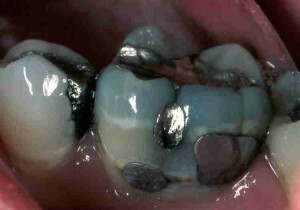 Silver fillings are not pretty. They show through the enamel as a gray-black shadow. Their silvery color is quickly lost as they blacken with age. Edges become weak with age. 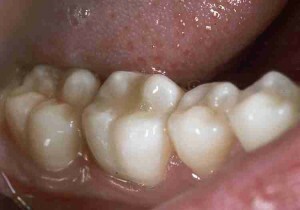 White fillings look like natural teeth and are less likely to fracture. They won’t discolor the teeth, and are stable and long lasting. They contain no metals or mercury. Placing a white filling is more time consuming than placing a silver filling.